Professor Ngozi Nnam is a Professor of Public Health Nutrition affiliated to the Department of Home Science, Nutrition and Dietetics, University of Nigeria, Nsukka, Nigeria. She is a graduate of University of Nigeria, Nsukka with a Bachelor's of Science degree in Food and Home Science. She later obtained a Post Graduate Diploma in Education and a Masters Degree in Education (Guidance and Counseling) from the same University. She taught briefly at University of Nigeria Secondary School, Nsukka, Nigeria. She later picked up appointment at the Federal College of Education Eha-Amufu, Enugu State, Nigeria where she lectured Nutrition and Home Economics and also served as Head of Department. In the course of her career at the College of Education, she obtained a Masters Degree and a Ph.D. Degree in Human Nutrition from University of Nigeria Nsukka, Nigeria. Professor Nnam was the winner of 1994 Vice-Chancellor's Faculty Postgraduate Prize for the best graduating student in Faculty of Agriculture, University of Nigeria, Nsukka Nigeria. On completion of the Ph.D. programme, Professor Nnam joined the services of University of Nigeria, Nsukka where she rose to the rank of Professor. Professor Nnam has a wealth of professional experiences. She consults for many agencies and has served as an assessor for many academic staff promotions. She serves as External Examiner within and outside Nigeria for both undergraduate and postgraduate programmes. Professor Nnam is one of the Consulting Editors of the Contemporary Who is Who of the American Biographical Institute. She is an Associate Editor of Agro Science, Journal of Tropical Agriculture, Food, Environment and Extension. Professor Nnam is a reviewer for many National and International Journals like the African Journal of Food, Agriculture, Nutrition and Development published by Rural Outreach Program Kenya, Journal of Food Composition and Analysis, an Official Publication of Infoods, sponsored by Food and Agriculture Organisation of the United Nations, Rome, Italy, Journal of Herbs, Spices and Medicinal Plants published by Taylor and Francis Group USA, Ecology of Food and Nutrition ((EFN) published by Taylor and Francis, Inc, USA, African Journal of Agricultural Research published by Academic Publishers Inc, New York, African Journal of Food Science published by Academic Journals USA and Nigerian Journal of Nutritional Sciences, Official organ of Nutrition Society of Nigeria (NSN) published by NSN and a host of others. Professor Nnam has traveled across continents to present papers in many International Science Conferences and Workshops. She has attended and presented papers at the International Union of Nutritional Sciences (IUNS), Federation of African Nutritional Sciences (FANUS), INACG and IVACG, Micronutrient Forum, African Nutritional Epidemiological Conference (ANEC), Oxford Round Table and many other conferences. Professor Nnam has organized many scientific conferences and workshops. She is presently the Chairman of the Scientific Committee for FANUS meeting, which would be held in Nigeria in 2011. 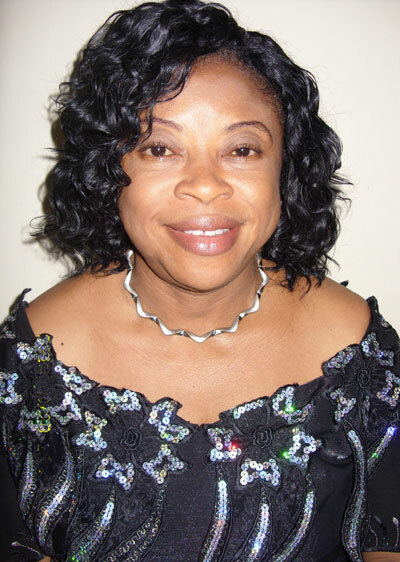 Professor Nnam has over 50 publications to her credit in reputable peer reviewed national and international journals. Her research interest is on Nutrition of women and children, improving nutritional quality of plant foods to increase utilization and production, food product development and evaluation, food composition and analysis, biological studies for food evaluation using rats and humans. Professor Nnam serves in many local, national and international committees for the promotion of Nutritional Sciences and Education. She is a member of International Task Force on Malnutrition, Nigerian GAIN Project on Food Fortification, National Fortification Alliance (NFA), National Committee on Food and Nutrition, Nutrition Partners Forum of Nigeria, Nutrition Networking Meeting, National Committee on School Meal Planning and Implementation, National Committee on Development of Skill-based Teacher's Manual and Pupil's Text in Nutrition Education for Basic Education in Nigeria. She also serves in the National Universities Commission's Accreditation Team for Academic Programmes in Nigerian Universities and the National Commission for Colleges of Education Course Accreditation Team and Curriculum Review. Professor Nnam served on the committee that developed profiles for Nutrition Policy Analysis and Advocacy in Nigeria in collaboration with BASICS II/USAID and the committee that developed a National Plan of Action on Food and Nutrition in Nigeria. She was a member of team of experts that worked on the Institutional Study on Agriculture and Nutrition in Nigeria for the International Food Policy Research Institute and the International Centre for Research on Women. Professor Nnam is currently a Development Officer in the Research and Academic Output Unit of the Vice-chancellors Office, University of Nigeria, Nsukka, Nigeria. She was among the delegation of Senior Nigerian University Officials who went on a study visit to South Africa under the UNESCO/Nigeria project for the Reform of the National Sciences Technology and Innovation System. Professor Anakalo Shitandi is an Associate Professor in food safety at the department of food science, Egerton University in Kenya. The subjects he teaches at undergraduate and Masters level include: food toxicology, food microbiology, food biotechnology, quality control, food standards, and food preservation. Prof Shitandi obtained his PhD in the field of food science from SLU, Uppsala in Sweden from where he has expertise in the use of the optical biosensor, a surface plasmon technique used in studies of protein-protein interactions drug design and food safety. He did his post doc at the department of biotechnology in the University of the Western Cape in South Africa where he researched on the microbial diversity of bioremediation systems employing alkaline fly ash to treat Acid Mine Drainage from Pretoria region of South Africa. He obtained his MSc degree in dairy science microbiology from SLU, Uppsala. He also is a holder of a post graduate diploma in education from Kenyatta University in Kenya and a B.Sc degree in Chemistry and Botany from Egerton University in Kenya. He has a broad scientific knowledge and curiosity in biological sciences as evident from a range of training where he obtained certificates in; bioethics from St Johns Research academy Hospital, Bangalore – India; Certificate in food science – Hebrew University, Israel, Certificate in Public health from the Nordic public health school, Gothenburg – Sweden and certificate in Bio-Statistics from the Danish Agricultural University – Denmark. Professor Shitandi’s previous research activities have been on food-borne disease surveillance (Both pathogen monitoring and food-borne illness), method development and establishment of Maximum residue levels in food matrixes and development of conceptual frameworks for Food Safety. His current research focuses on identification of novel bioactive compounds and biomarkers in foods which could impart nutraceutical properties or be used for biological monitoring in commercial systems. Professor Shitandi has been successful in sourcing several international and regional grants and he has published to date thirty two papers on his research in various international scientific journals. These include: Journal of Food Science and Technology; the Journal of Food Protection, International Food Research Journal, Journal of food control, Journal of food chemistry, African Journal of Food, Agriculture, Nutrition and Development (AJFAND), Journal of Veterinary Science, Journal of Dairy Science, African Journal of Microbiology Research, Research Journal of Agriculture and Biological Sciences and the Food and Bioproducts Journal of the European Federation of Chemical Engineering. He is a Book reviewer for Blackwell publishing Ltd; Taylor & Francis group and the Sun Academic Press. He has been a technical scientific grant reviewer for the International Foundation of Science, Stockholm – Sweden and an expert member at the Kenya Bureau of standards committee on food additives. He is also a member of the Institute of microbiologists amongst other professional bodies. He has been a training consultant in quality control training for Tetra-Pak Engineers; The Eastern and Southern African Dairy Association (ESADA) and a training consultant in Microbiological risk assessment for various food industries. Professor Shitandi is a scientific reviewer for AJFAND and also reviews for several other scientific journals. Prof Shitandi supports AJFAND as a reviewer, an author and a s mentor of students who wish to prepare manuscripts for publication. His support is highly valued. Ed. AJFAND.